Summer is the perfect time for smaller class sizes and a peaceful atmosphere. 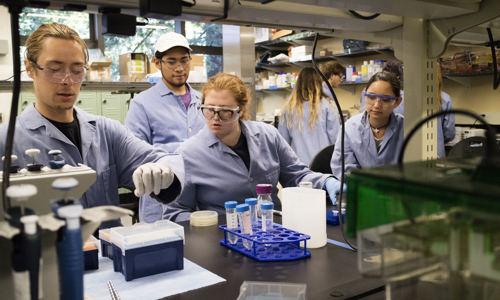 There are more than 300 courses including STEM essentials, life in the sea, survey of rap and hip hop music, and anything UC Santa Cruz students need to graduate. There are also 34 online classes offered so students can take summer anywhere. Extended again this year, UC Santa Cruz staff and faculty get half-off tuition to encourage professional and personal development. Students and staff can enroll up until the first day of classes. “Summer is a unique time when classes are open to everyone,” said Monica Parikh, director of Summer Session. “Staff, community members, high school students eager to start their college education, and students from other universities can take advantage of this fabulous campus.” With multiple sessions, summer allows ample time to study with top-notch faculty, while still having time to work and have fun. Information on courses, housing, and fees is at summer.ucsc.edu.